Mother son dance songs are important but sometimes overlooked part of the wedding ceremony. The genre of the songs would have to blend with the overall theme of the wedding. The songs would have to describe this unique relationship between mother and son, and if mother and son have specific tunes which are special to them, they would be worth considering to be added to the list of the mother-son wedding songs. 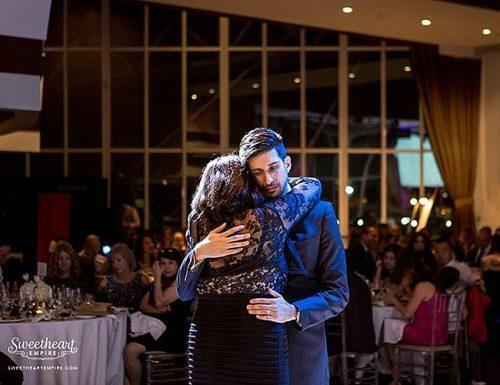 Anyone who has that special relationship with their mother or any mother figure in their lives knows the significance of the mother-son dance. In picking songs for the wedding, every aspect counts and very important. Get Inspiration With Our Playlist Here! How To Choose The Perfect Song For Mother Son Dance? For the mother and son dance songs, there is a ton of music out there on the topic of this wonderfully special and sometimes rarely celebrated relationship. You will be surprised at the immense number there is to choose from. Songs of the different genre which bring to the fore all kinds of feelings and do their best in expressing the love which we all know exists between a mother and her child. Below is a list of some of the most modern and most popular mother son songs which have been played all around the world over the years. Some of the most modern and most popular wedding dance songs to play at your wedding; more than enough to choose from to find those mother son songs which could melt any heart and make for a fun and wonderful time to remember. For unique mother-son wedding dance songs, here you can find a few funny ideas for a non-traditional wedding and a few unconventional mother son songs in our list for that quirky someone who is not too keen on toeing the line or following the crowd as we might say. Such an array of wonderful, heartfelt songs to choose from which express just how much the mama son relationship means to us. There’s definitely a number of songs in here for you to include in your list of mother son wedding dance songs. Dance to Paul Simon, David Bowie, or even Diana Ross. Tunes from artists of different genre and different times in the vast world of music. It is impossible not to fall in love with the unique songs on this list for mother son wedding dance songs. Country music is arguably one of the best genres for finding music that touches the heart and pulls at its strings in that gentle but reassuring way it describes and expresses love. If in search of mother son songs for that special day, then you’ve come to the absolute right place. We’ve put together a list here which can help with your search for those unique songs which can be used for the mother son dance during the reception or any other time in the ceremony where you would want to express that love or your journey through the years. For country themed mother son wedding songs, look no further. We have our unique selection right here. Music from country singers like Lady Antebellum, Trace Adkins, Kenny Rogers, and Garth Brooks. The world of country music would be incomplete without these names, and your list for mother son dance songs would be incomplete also without some of these tunes especially if you’re in search of country music for your special day. You have chosen the theme for your wedding; it is time to choose the songs to go with it, especially for the mother son dance. So if the theme you have chosen is country, and you want that country feel on the dance floor, then you have come to the right place. From this list, you can choose which songs are a good fit for your special moment on your special day for that one dance with a truly special lady. Choosing classic rock for your mother son wedding dance songs is a laudable option. One that gives you an array of songs to choose from, the music we couldn’t live without. Each of these songs in the list is a classic in its own way and each definitely expresses the value of a mother or a child in one’s life. It’s a relationship to be cherished and celebrated and we’ve pulled together a list of classic mother son songs which do just that, celebrate this relationship to the fullest. You can take your mama with the scissor sisters, or go up over the mountain with her with the voices of Iron and Wine in the background, or you can assure her you will always love her with help from the intruders. The timelessness of classical music is what makes it a perfect choice of genre for wedding dance songs. For classic tunes for a mother son songs list, you need to look no further. This list below should have something or more to your liking and should be potential for a truly great and memorable dance. For a truly perfect day, you need to carefully choose the perfect songs, which is why we have pre-selected here an array of beautiful classic music for your special day. The years have been kind to the type of songs which express mama love. From the days of our parents, grandparents, great grandparents, music has been created in the name of mother son songs, songs of that mother type of love. It is one topic our talented musicians haven’t been able to stop crooning about in every decade. There are oldies from ten years ago and even much older, which show that the love of a mother for her child and vice versa is one which cannot be denied. Therefore creating a list of mother son wedding songs is one part in wedding preparation which should not be overlooked. Here we have a list of oldies songs chosen specifically to fit the occasion and pave the way to the mother son wedding dance. These are twenty-five songs to choose from when creating your list for mother son wedding dance songs. Come with us, take a peek into the past. Find the songs which will gladden the heart of any mother on this very special day and produce a dance which will always be remembered, for this is an event like no other and this will definitely not happen every day. It is a chance to dance with someone special so be sure of your choices for these special mother son dance songs. In choosing the perfect mother son wedding dance songs, it is vital to choose music which expresses just how much this relationship means to both parties. The mother son wedding dance songs should be descriptive of the beautiful feelings and memories which exist between a mother and a son. Some of the best love songs of all time can be found in numerous lists for mother son songs because they are usually adept at describing the feelings and the love a mother has for her son and vice versa. Browsing through and discovering this potential dance music is usually a fun and fulfilling experience on its own. It is not every day you get a chance to choose songs for this purpose, so you will find it’s worth every minute, and there’s a lot to discover in making choices for the list for your mother son wedding dance songs.